SAN FRANCISCO — December 14, 2017 — According to a recent report, Cloud Foundry is the leader in the multi-billion dollar Cloud Application Platform (also called Platform-as-a-Service or PaaS) market, with 35 percent of the total market across all deployments. Growth of the Cloud Foundry Foundation — home of a family of open source projects including Cloud Foundry Application Runtime, Cloud Foundry Container Runtime and Cloud Foundry BOSH — is keeping pace with the expanding use of the open source technologies held within the 501(c)(6) thanks to its thriving and varied membership of large enterprises, growing startups and Cloud Foundry users. According to the Foundation report, Cloud Foundry leads Microsoft Azure (32 percent), Oracle Cloud Platform (28 percent) and AWS (25 percent). Google App Engine (14 percent), Salesforce’s Force.com (9 percent) and Red Hat OpenShift (3 percent) lagged behind. The Foundation’s member base has taken on a massive influx of users — the 42 percent includes major companies like Allianz, Allstate, American Airlines, Comcast, Fidelity, Ford, GE, Home Depot, Phillips and Volkswagen. On the training side, the Foundation added 10 new Authorized Training Partners including anynines, Biarca, Cognizant, EngineerBetter, Fastlane, Innovivi, Pivotal, Resilient Scale, Stark & Wayne, and Swisscom. Three Foundation member companies are using the training internally, notably including Volkswagen, who will be implementing it across their entire IT department. More than 10,461 people have registered for the Foundation’s MOOC (launched in June). To date, 727 registrants earned a passing score. Launched a beta version of The Foundry, a web-based “marketplace” for available distributions, services, add-on technology, education and more. Deploying and managing containers is easier and more flexible — using the updated Kubo project, renamed Cloud Foundry Container Runtime (CFCR), now the default Cloud Foundry approach to deploying containers using Kubernetes and BOSH. The availability of its first free Massive Open Online Course — a hands-on workshop to learn how to deploy and manage applications on Cloud Foundry. Performance-based certification exam designed to verify a candidate’s expertise using the Cloud Foundry platform and building cloud-native applications. Three new members of its Board of Directors: Allianz Germany Chief Information Officer Dr. Andreas Nolte; SUSE CTO Thomas Di Giacomo; and VMware Vice President and General Manager Paul Fazzone, who was elected as treasurer. Registration reached its highest ever at 1,654, with a 92.6 percent attendance rate. 62 percent were first time attendees. Attendees from 33 countries, with 11 percent of registered attendees self-identifying as women. Highest ever European attendance with 858 total registrants. 62% were first time attendees. Attendees from 34 countries, with 12 percent of registered attendees self-identifying as women. Cloud Foundry has seen vast growth worldwide with 2,800 contributors since inception; over 110,000 commits in the last 24 months; 70,000+ people participating in global community events; and 67 total members. As stated in market research from Gartner, Cloud Foundry’s total market value is approximately $2.8 billion, rising to $5.25 billion in a few years. Cloud Foundry’s popularity in the market and its cross-platform flexibility fit the need of both companies and developers—88 percent of Cloud Foundry users believe its cross-platform flexibility is important, including 60 percent who believe it’s very important. With the continued growth of the PaaS market predicted by Gartner and other analysts, and the ease of use for developers who use it, Cloud Foundry has placed an emphasis on training tomorrow’s cloud-native developers with its Developer Certification program. 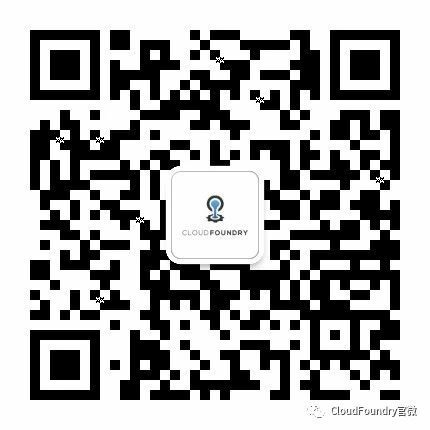 Cloud Foundry is an open source technology backed by the largest technology companies in the world, including Cisco, Dell EMC, Google, Hewlett Packard Enterprise, IBM, Microsoft, Pivotal, SAP and SUSE, and is being used by leaders in manufacturing, telecommunications and financial services. Only Cloud Foundry delivers the velocity needed to continuously deliver apps at the speed of business. Cloud Foundry’s container-based architecture runs apps in any language on your choice of cloud — Amazon Web Services (AWS), Google Cloud Platform (GCP), IBM Cloud, Microsoft Azure, OpenStack, VMware vSphere, and more. With a robust services ecosystem and simple integration with existing technologies, Cloud Foundry is the modern standard for mission critical apps for global organizations. The Cloud Foundry Foundation is an independent non-profit organization formed to sustain the development, promotion and adoption of Cloud Foundry as the industry standard platform for cloud applications. Cloud Foundry makes it faster and easier to build, test, deploy and scale applications. Cloud Foundry is hosted by The Linux Foundation and is an Apache 2.0 licensed project available on Github: https://github.com/cloudfoundry. To learn more, visit: http://www.cloudfoundry.org.